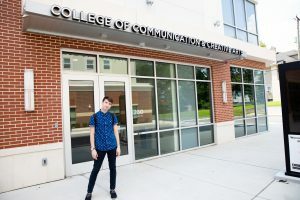 Aside from his two majors that already require a large amount of creativity, Matt has three concentrations: musical theatre, creative writing, and the newest addition to the communications department, publishing and writing for the public. He surrounds himself with the arts which constantly inspires and pushes him to create. 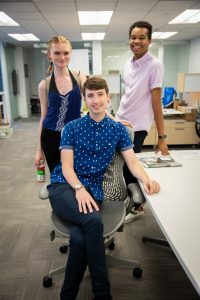 Matt landed his summer internship with Campus Philly after seeing a post from the Writing Arts department calling for an editorial/social media intern for this student-revolved group. 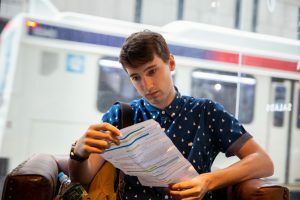 Campus Philly provides all the information college students in the tri-state area would want to know; from things to do in the city to jobs and internships, housing options, deals and discounts, Philly neighborhood activities and FREE events. 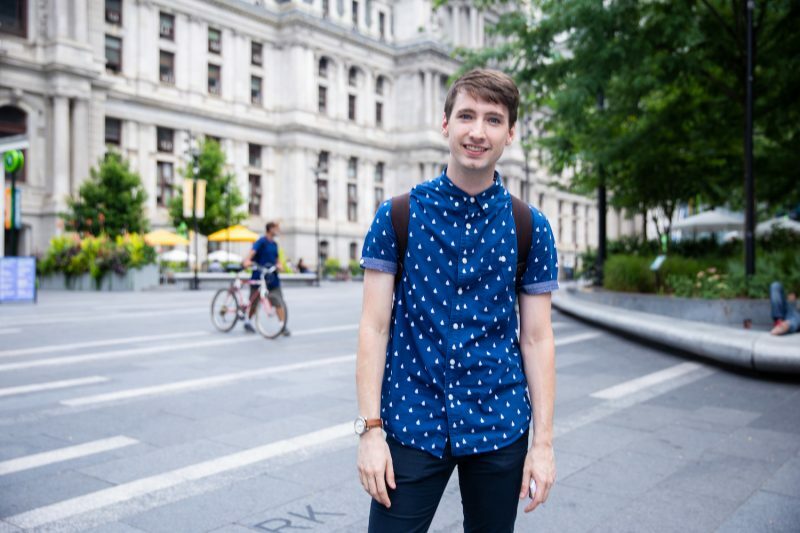 Matt’s in charge of writing publications for the Campus Philly blog and running all social media outlets. The biggest upcoming event he’s promoting is CollegeFest- “Your Best Five Hours In Philly”. Check out that link for a glimpse into Matthew’s internship. One of his blog posts I find extremely beneficial is a How-To Guide on taking public transportation in the city. After reading that story, I’m finally not confused when using the PATCO. He’s also written a post about the Seven Things To Ask In An Interview, and the Three to Not. Read more of Campus Philly’s Blog here. The latest project Matt’s working on is creating highlight reels for the Instagram showcasing the different neighborhoods within Philly, from Old City to University City. 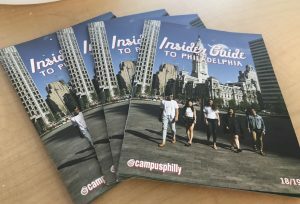 These stories highlight top places to go and things to know within each community, something that any student in Philadelphia would want to know. Matthew’s been searching and applying to countless internships related to the publications field and has perfected his resume and cover letter to a T. But strikingly enough, what created that job-landing, impressive connection in his interview were the few words “Trigger Warning: A Melancholy Musical- Book, Music & Lyrics by Matthew Vesely.” There’s no coincidence when Matt puts that on his writing arts resume. He ties together his two passions, taking his writing skills to use in his other major, and sharing it with everyone. “Beyond the internship, I have been working on two projects that will go up this year. ‘Those Who Love You’, my original senior project for the theatre department which will go up in the fall semester. 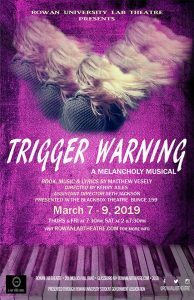 And I have my three-year long project, Trigger Warning, which is my original musical that will go up in the spring through Rowan’s Lab Theatre,” says Matt. Lab Theatre is a student-ran organization allowing students to direct and showcase their own work on Rowan stages. Mark your calendars for Matt’s premier debut of his original musical, March 7-9,2019. It’s easy to take your interests and pave your career path when you’re as inspired and driven as Matthew. He hopes this final year at Rowan allows himself to flourish, grow, and sets up a career upon graduation.